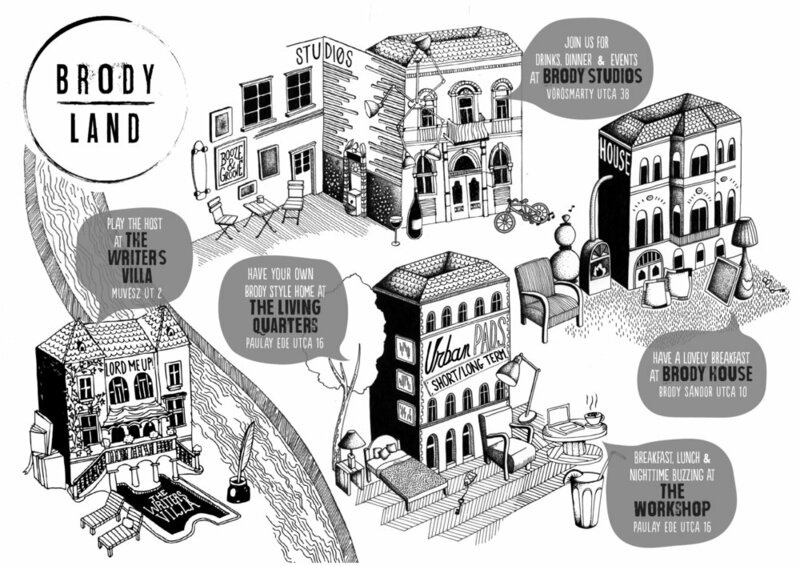 Brody House, BrodyLand's first venue was established in 2009 to promote and contribute to Budapest’s vibrant creative scene. Today, BrodyLand spans four hospitality venues in Budapest with more in the pipeline. Accommodation guests are afforded 'I'm in bed with Brody' visa during their stay in Budapest to gain access and dip into the cultural and social life at The Studios. Our team organises social and cultural happenings for members and their guests - from the rowdy and raucous to the refined. Welovebudapest | Mit lehet kihozni egy régi bérházból?